World Card Making Day Sat, Oct 3 & Announcement! 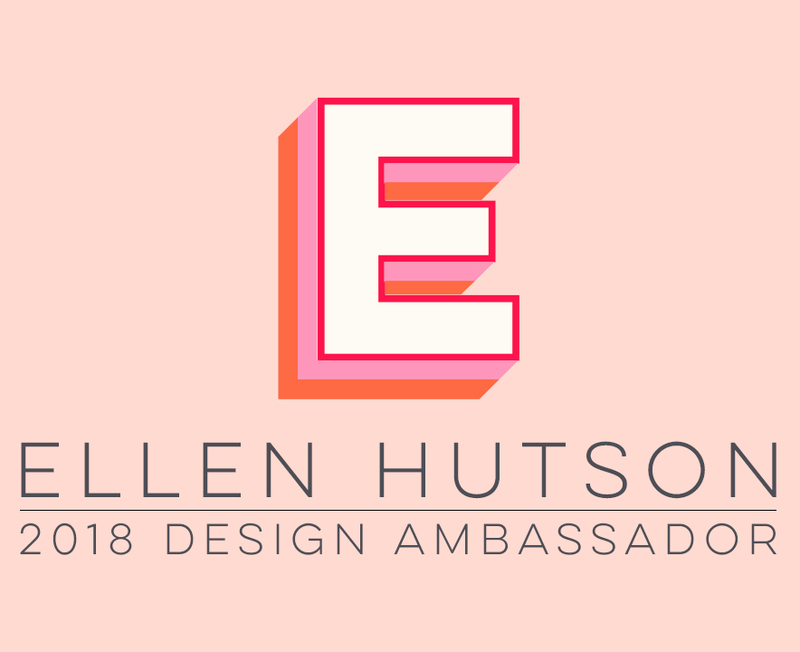 Ellen Hutson, LLC has several fun participation opportunities and giveaways planned in celebration of World Card Making Day this Saturday, October 3. We'll be creating something fun just for you over in the CLASSroom as well as provide some savings when you are shopping for the holiday season ahead!!! In preparation for Saturday, you can do some thrifty shopping prior to World Card Making Day. The offer shown above is only valid on Thursday, October 1 and Friday, October 2. EVERYTHING in Ellen's store (in-stock items only) will be included in this sale! This offer cannot be combined with any other coupon code. Please note that once an item is no longer visible on her website it means that she is currently out of stock on that item - so shop early! You can full details here. We hope to see you on the CLASSroom blog Saturday for all the festivities! And did you see this sweet announcement on Taylor's blog today? I'm beyond thrilled to be back with the Baker's Dozen Designers and can't wait to show you the first of this month's Taylored Expressions sneak peeks that start tomorrow ... trust me, you are going to love this release!! I needed a quick thank you card and happened to already have this beautiful Lockhart Stamp Company Hydragea image colored. I RARELY make cards this way -- I usually choose all my papers & cardstocks and then color my image to match. But I happened to find this Basic Grey Perhaps paper that picked up the pinks I used in the hydrageas, so that was a good thing (channeling Martha here!). A Sugar Plum Memory Box notecard and Taylored Expressions Sketch Challenge #84 made this card come together quick & easy peasy! I colored the image with Copic markers: R20, R22, YG01, YG03, YG63, B21, B23, E50, E31, E35, W1 and Pink Spica Glitter Pen. I didn't have any green ribbon that matched, so I colored white silk ribbon with Copic YG23! I used the nifty Bow Easy again to tie the perfect bow -- love that thing! It's easy to tell school is back in session ... just by all the important paperwork we have lying around! If it stays on the kitchen counter, it's either likely to get food on it or be thrown away by mistake, and if it goes to my desk then it's likely to get covered up, colored on or glued together, LOL! So usually the best place for all those reminders is the refrigerator door -- is your house the same way? At least that way it's usually right in front of us at least three times a day! I added red rick-rack to the bottom of the clip, to cover up the rest of the metal and then looped some around the top, too, just to add some more color. Then I added the word "school" to the bottom of the Inchie, using my 15-point JustRite Times New Roman Font -- just in case I decide to make a few of these clips later one ... maybe one for each member of the family, perhaps? Then we'll know this clip is dedicated to the school papers. The Inchie was added to the metal clip with a very strong double-sided adhesive, or you could use Gorilla Glue or E2000. I hope you are enjoying your weekend! I'm working on some samples for a new stamp release (sneak peeks start on Thursday, Oct. 1) and World Cardmaking Day on Saturday, so things will start hopping around here later in the week ... I hope you'll check back in! It's Weekend Sketch Challenge time again and it's number 99! I always love the challenge of using a sketch -- it makes me think outside my box and try something new & different! We hope you'll play along with us today, too! Here's what I have to share. KIS was my motto for this card ... no, not as in kiss a frog, but Keep It Simple! So I grabbed one of my Taylored Expressions' Key Ingredients Kits (The Places You'll Go) and I had everything at my fingertips that was already color coordinated for me! This sweet princely frog cuppie from Taylored Expressions' Trick or Sweet II set does double duty and isn't just for Halloween. I thought this card might be good to serve as an encouragement for a young boy, or without the sentiment, I think it would make a cute baby card! There are some other very sweet images in this set that I'll be using to make little notecards to tuck into my girls' backpacks! His little bow tie is accented with a Tiny Twinkle gemstone. The sentiment was stamped onto solid patterned cardstock from the Kit and die cut. Other than that, a little machine zig-zag stitching and some brads from my stash finish it off, Keeping It Simple! I made the card 3.75" wide (and 5.50" tall), so the focal image could extend off the right side of the card 1/2-inch and still fit into a regular A2-sized envelope. You can see samples today of this sketch made by these awesome women: Beate, Cambria, Charmaine, Jenn, Lori and Mary Jo. I hope you have a wonderful weekend! Accessories: Spellbinders Classic Circle Nestabilities & Tags Trio dies, Taylor's Tiny Twinkle gemstones, Sakura Quickie Glue Pen. Recently Reinked: W1, B41, BG11, BG72, YG03, YG91, YG93, YG95. And just a quick note to let you know I have a card posted over at Ellen Hutson's the CLASSroom today, using some of my highly-anticipated favorite, GORGEOUS, Webster's Pages new 6-inch papers ... I hope you'll join me there! When it comes to my kids and Christmas, I'm very sentimental and want the season to be as magical for them as possible. And I want to remember their awe and wonderment for years to come. So at Christmas time, I have a special framed photo from each year of their Christmases to pull out and display all season. This will be our framed photo from last year. It would also make a great grandparent gift! I love these wooden frames from Michael's -- I've used them several times. They are 8" x 7" with a 4.5" x 3.5" photo opening, unpainted and have a recessed area around the photo where I've adhered patterned paper. To start, I painted the frame red. Here's another view of the frame, so you can see the dimension it has, with the shadow box type of recess for the photo. And the best part -- it can't be more than $1.99 (I've forgotten exactly what the price is)! I started this project thinking I'd be making a card and wanted to use the CPS sketch #134 layout for it. Then the project changed to a framed photo, so I hope the CPS (CARD Positioning System) people don't mind that! The smaller trimmed sleigh fit perfectly into the 2-3/8" Round Wood Stamper and within it's border! I stamped the images separately, colored them with Copic markers (listed below in the supply section), and then die cut the two separate images. The edges of each image were inked with distress ink and the holly berries accented with tiny red twinkle gems. I customized a label (accented with tiny red gems) for the top of the frame, with the year. That's what I love about JustRite's fonts-- I can make a custom sentiment or greeting for a card, a title or journaling for a scrapbook page, or customize ANY gift or keepsake I choose! Here, I used the smallest 25-point font from the Brayton Uppercase font set (my fav!). And remember, all of JustRite's fonts are still on sale 30% off this week until Thursday, September 24th! Another thing I love about these fonts is the ability to choose from FIVE different sizes -- three that you get in each font set, plus two additionally available sizes: a 15-point font set with Wood Stamper, and a 6-point Small Letter Set. Here, I chose the font that would fit the die frame I wanted to use! And another bonus ... with JustRite's locking tongue & groove type system, your stamped words will always be lined up and perfectly straight (unless YOU don't want them to be!). Oh, and YOU might want to participate in the CPS sketch this week, too -- JustRite Stampers is sponsoring the sketch and will be providing one lucky winner with some wonderful take-home loot! You can read all about it HERE! For Beate's Weekend Sketch Challenge #98 today, I wanted to show another use for my Bingo card downloads I shared yesterday. I also made mini Bingo versions that are the perfect size for a cardfront! They measure 3" x 3.5" and fit the JustRite 50-point sized fonts perfectly for a title. I printed the black card onto vanilla cardstock and then used JustRite's Brayton Uppercase font to spell out TREAT. I distressed the edges of the Bingo card, crumpled it up, and then aged it with ink. The Inchie Arts white inchie square embellishment was colored with Black Copic marker = instant any-color-you-want Inchie square! That cute jack-o-lantern pumpkin is a brand new Lockhart Stamp Company image -- isn't it darling?!! I stamped it, punched it out with a scalloped punch, colored it with Copic YR12, YR23, Y02, BV11, V17 and then adhered it to the Inchie square. Then I used embroidery floss for the handle! We hope you'll play along with the sketch this weekend. To see more samples with this sketch, you can visit these talented ladies -- I always look forward to seeing how each one interprets the sketch! Charmaine, Lori, Laurie and Mary Jo. I hope you have a wonderful weekend! JustRite Font Mega Blog Hop - Day 1! Welcome to Day 1 of JustRite Stampers' Font Mega Blog Hop! We have TWO days of blog hopping lined up for you, with 54 designers showcasing all kinds of fun, creative projects YOU can make with JustRite's fonts! To celebrate this event, JustRite is having a Super 7-Day Font Sale. Take 30% off ALL JustRite font sets and the Horizontal and Veritical Font Stampers. Sale begins Sept 17 and ends Sept 24. AND there is Mystery Blog Candy being given away during the 2-Day JustRite Font Blog Hop! There will be THREE blog candy giveaways on each day and you can only win by leaving a comment on the right blog! The mystery is that you won't know which blog has the candy ... even the designer doesn't know! So as you visit each of the 54 designers over the 2-day event, take time to leave a comment. Then the three designers will randomly draw a name from the comments on their projects -- who knows, the lucky winner may be you! You will have until Sunday at noon EST to leave comments for your chance to win. Then check back at the JustRite Blog on Sunday evening to find out who won. I love the trendy look of Bingo cards currently being used in papercrafting and thought it would be fun to create CUSTOM Bingo cards (available for download below) for any kind of occasion, from greeting or holiday cards, to scrapbook pages or other types of papercrafting! You can customize these Bingo cards with any wording you'd like! My first project started out as an 11"x8.5" horizontal scrapbook page of my girls visiting Santa last Christmas, but ended up as a framed keepsake(9"x12")! After printing my 4.25"x5.50" Bingo card (I used the large red Bingo card download below) onto vanilla cardstock and cutting it out, I used the large Horizontal Wood Stamper (you get a large and a small stamper in the package) to spell out "Santa" with JustRite's largest Brayton 95-point font. It's easy to just position the Wood Stamper next to the area where you'll be stamping and line up each letter at the top of each column of the Bingo card. After stamping "Santa" with Memento Rhubarb Stalk ink, I inked the edges of the Bingo card to age them a bit. The red Bingo "dauber" numbers 6 and 9 on the card represent my girls' ages last year at Christmas. The numbers were stamped using JustRite's Times New Roman 50-point font and then punched out with a 3/4" circle punch. The date was also stamped with Times New Roman font and accompanying flourishes, then die cut into a tag shape and popped up on foam tape. My girls' names were also created with JustRite's Times New Roman 50-point font and stamped with Memento Tuxedo Black ink under the photo. Another thing I LOVE about these fonts is that I never run out of the letter "A" when scrapbooking with JustRite's fonts -- whereas with stickers, I would! If I spell out all of my family's names, with our last name just once, I use EIGHT letter A's! The snowflakes were die cut from more vanilla cardstock and then sugared with chunky glass glitter adhered with Diamond Glaze. The Zva clear crystals were colored with Copic BG13 marker, to match the aqua colors in the patterned paper. The pom-pom trim was white and I airbrushed it with the same Copic marker! BINGO CARD DOWNLOADS: (Available for personal use only, in your own creative projects; not for commercial use. Your own designs created with these files may be submitted to magazines, contests and internet galleries, with proper credit given to Sharon Harnist and my website. Not for profit -- please do not sell or offer these as your own creations. Please do not distribute these files to others, but refer/link others here instead -- these files are given freely for download from my site only. Thanks for your understanding!) These download files will also be permanently housed on my Download Page, for easy future reference. DOWNLOAD INFO: These files are divided into color groups and within each color there are two sizes, pre-printed with numbers -- Large (4.25"x5.50" which accomodates JustRite's 95-point fonts for a title) and Small (3"x3.75" which accomodates JustRite's 50-point fonts for a title). There are also Blank Bingo Card files -- black only, two sizes, which allows space for a title and do not include numbers, so you can stamp in whatever numbers, letters, images etc., you'd like. Here are the rest of the bloggers who have projects to share today, starting with the JustRite Stampers Blog: Michelle Wooderson, Sankari Wegman, Heidi Blankenship, Eva Dobilas, Beate Johns, Sharon Harnist <= you are here! Barbara Anders, Sharon Johnson, Deb Saaranen, Becca Feeken, Kazan Clark, Lauren Meader, Tammy Hershberger, Linda Beeson, Jenny Gropp, Lori Craig, Tanis Giesbrecht, Jenn Balcer, Lisa Somerville, Karen Maldonado, Pamela Smerker, Karen Taylor, Latisha Yoast, Julie Overby, Mary Pfaff. Enjoy the rest of your hopping! Halloween is getting closer and today in the CLASSroom, I'll show you how to make a piece of home decor for this holiday! Beginning tomorrow, September 17, JustRite Stampers has TWO days of blog hopping lined up for you, with 54designers showcasing all kinds of fun, creative projects YOU can make with JustRite's fonts! To celebrate this event, JustRite is having a Super 7-Day Font Sale that begins tomorrow, Sept 17 and ends Sept 24. You will take 30% off ALL JustRite font sets and the Horizontal and Vertical Wood Stampers! AND there is Mystery Blog Candy being given away during the 2-Day JustRite Font Blog Hop! There will be THREE blog candy giveaways on each day and you can only win by leaving a comment on the right blog! The mystery is that you won't know which blog has the candy ... even the designer doesn't know! So as you visit each of the 54 designers over the 2-day event take time to leave a comment. Then the three designers will randomly draw a name from the comments on their projects. Who knows, the lucky winner may be you! You will have until Sunday at noon EST to leave a comment for your chance to win. Then check back at the JustRite Blog on Sunday evening to find out who won. We'll see you tomorrow (Thursday) for the hop -- you can start things off at the JustRite Blog in the morning at 8am EST and I'll be right HERE with my projects to share on day one! I needed a few "general" cards for my stash ... I never seem to have any on hand when I need them for a quick note, how about you? I was in the mood to color these beautiful Papertrey Ink Autumn Abundance Fall images, since it's STILL raining out ... I think my area has accumulated about 5 inches over the past 2-3 days and it doesn't appear to be letting up until later in the week! The images were colored with Copic markers that Papertrey Ink says matches their cardstock & ink colors ... very helpful when trying to color coordinate your project! You can find their Copic color selections HERE, if you are not already familiar with them. I used Gold Copic Spica glitter pen on the leaves and acorn image -- hopefully you can see that pretty sparkle in the closeup photo above (click on it for a larger view). The focal images are popped up on foam tape ... other than that, I think everything is pretty self explanatory, with all supplies listed below. I hope you have a lovely Fall week ahead! I really hope you can see all the sparkle in the photo -- it really brings these beautiful flowers to life! I printed my calendar (download available from my Download Page) in green and brown, to match the papers and colored stamp image. I used Sally Lynn's Copic Digital Color Chart to choose the green to print the "September" font in the digital match to Copic YG93 -- how cool is that?!! Papers are some of my favorites from Papertrey's Green Tea Leaves & In Bloom 8-inch paper packs. I machine stitched around the edges of the 6-inch page. I hope you are enjoying your mid-September ... it's been raining here constantly for the past 3 days and has cooled off to really start feeling like Fall (yay)! Today for Beate's Weekend Sketch Challenge #97, I wanted to do something with a Fall feel to it, since it's raining out and actually starting to feel like Fall here in North Texas (yay)! Karen Lockhart's Harvest Angel was just what I was looking for. She's SO much fun to color! I finally got hold of the Bow Easy gadget I've seen a lot of people using -- this thing ROCKS! Look at that beautiful perfect bow, with both tails behind the loops and lying nice and flat! This will be a permanent tool on my desktop! Sweet Sharon Johnson hooked me up with one, and she can for you, too! Check it out HERE, complete with links to tutorials on how to tie an easy bow. These talented ladies also have sketch samples for you today -- I can't wait to see what they've put together! Beate, Charmaine, Jenn, Lori and Mary Jo. I hope you have a wonderful weekend ... it's supposed to be cooler, nice & rainy here all weekend and I'll be enjoying it! Just a quick note to let you know I have a Taylored Expressions scrapbook page posted over at the SASI (Stamp A Sweet Impression) blog this evening. This sweet ballerina/princess is one in a set of seven new Cuppies in the Trick or Sweet II stamp set (15 total images). I think they are super-versatile and can be used for a variety of occasions besides Halloween! I'll be back in the morning with Beate's Weekend Sketch Challenge!